The East Rankin Academy Government Quiz Bowl Team competed in the Old Capitol Government Bowl hosted by the Mississippi Department of Archives and History. The team finished 1st place with a finals win over Brandon High School. 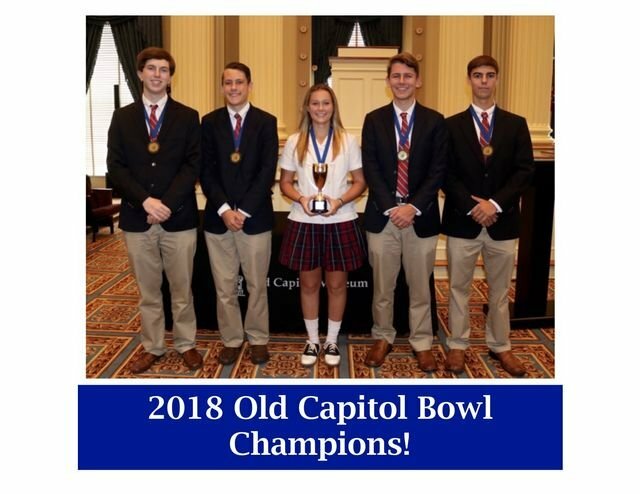 Congratulations 2018 Old Capitol Bowl Champions!